ABC director of audiences, Leisa Bacon, told CMO the decision to create the YourSpace online community was about putting audiences at the centre of everything the Australian broadcaster does. Because to do that, you need to better understand them, she said. Having explored what other broadcasters globally were doing on this front, she saw the importance of a live community and challenged the internal insights division to build a similar base enabling the ABC to regularly engage around programming and opportunities. “This is about really understanding those more nuanced behaviours we see play out in data, but having the ability to talk to consumers about them,” Bacon said. Historically, tapping into such insights was expensive and restricted to focus groups. ABC partnered up with technology platform provider, Vision Critical, to rapidly build out the YourSpace community. The vendor took care of the back-end and privacy concerns, while the ABC worked to build a suitable front-end interface and sign up consumers to the community. The process took a couple of months, with YourSpace live by mid-2016. Once it was up and running, the key was working out how to prioritise using the community. “Once we had it live, everyone wanted to use it. So we had to map out our research programs and what we wanted to use it for, making sure we built a community that’s sustainable with low churn, that we give them exciting new things, while making sure we don’t go out to them too regularly,” Bacon said. There was also a desire to understand more about programming across the ABC’s TV, radio and digital touchpoints, to ensure it’s distinctive in the Australian market. “It’s not just about reach at the ABC, it’s about ensuring quality, distinctiveness and gaining high trust,” Bacon explained. “These latter elements are things you can only measure through people consuming your content. A community is great for that as they’re people actively engaging with your content. One stellar example of how the ABC used the YourSpace community successfully is for War on Waste, a program launched in May 2017 that has since become a national movement. The program itself reached 4 million viewers, and proved so impactful, it generated 21 million views off one related Facebook post. Ahead of program launch, the ABC surveyed the YourSpace community to better understand consumer attitudes and behaviours around waste management and recycling. This was complemented by social posts and website engagement with the broader Australian community to gain benchmarks in advance of show launch, then impact once War on Waste was live. “For War on Waste, it was more around using YourSpace to understand its impact,” Bacon said. Further surveying was done once War on Waste launched as well as afterwards to understand changes in consumer behaviour. Bacon said this also delivered useful data points teams could then use to inform decision making. 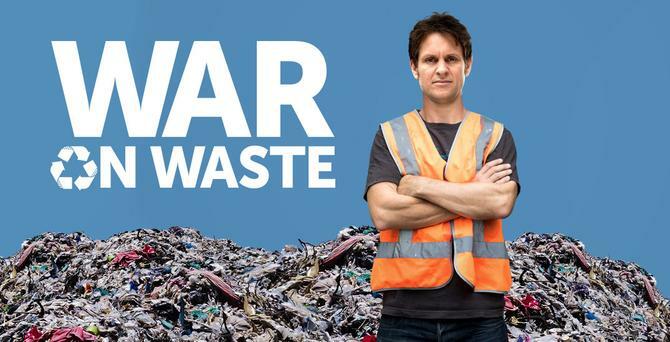 War on Waste expanded the weekly reach of the ABC by 500,000 Australians, generated a 13 per cent rise in Net Promoter Score (NPS), secured ABC the accolade of the highest rated factual program in 2017, and met seven out of nine corporate KPIs. Today, War on Waste is credited today as one of the largest and most insightful studies on waste conducted in Australian history, successfully changed the mindset and behaviours of consumers about waste and recycling nationally. Of course, YourSpace has been used for much more than that. “We have hundreds of different types of content every year and we’ve used this panel in different ways to build up a lot of it,” Bacon said. Another example was using YourSpace for ‘GIG, the ABC’s new ideas brand, and gauging insights around the Kids Listen audio product for children. What’s more, the community supplies an objective data point that can be hard to come by in an organisation where people have different perspectives, Bacon said, particularly around marketing assets, creative and program ideas. “The value of the audience is it gives you a very objective data point to feed back into the team. You’ll never get that objectivity internally,” she said. “We get lots of surprising things from our community but in a good way. These challenge our personal biases and give a broader perspective on a product. You could be working so closely on a product you lose sight of the fact the audience may have a slightly different need. That’s particularly important when you’re not in those audience segments yourself. The community is just one of many data points being used at the ABC to inform decision making. Others include competitor data and international insights. In terms of measures of success, Bacon said a big one for YourSpace is whether it saves money and is a more efficient way of gauging consumer insight. It’s also about using the community to better understand audiences, and seeing how valuable and useful teams across the ABC found the community insights. Bacon said the number of requests coming through from content teams to use YourSpace to inform decisions demonstrates its ongoing popularity. The YourSpace community now consists of 10,000 members. To keep it fresh, the ABC is undertaking regular acquisition and retention initiatives. Retention processes, for instance, include providing regular community rewards and money can’t buy experiences, such as participating in a show recording and meeting personalities. Acquisition, meanwhile, includes regular campaign drives across TV, radio and digital on a quarterly basis. “Community panels are way to go for lots of different organisations. Yes, we do need to go outside community for broader group trends, but with engaged audience is fantastic,” Bacon concluded.